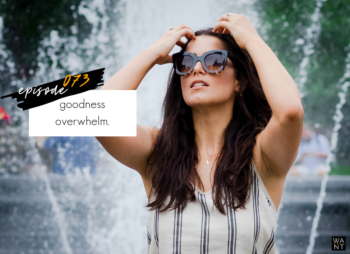 This is the time of year we’re usually the most contemplative about where we are in our own lives, and it’s for that reason I’m so excited to introduce you to today’s guest. 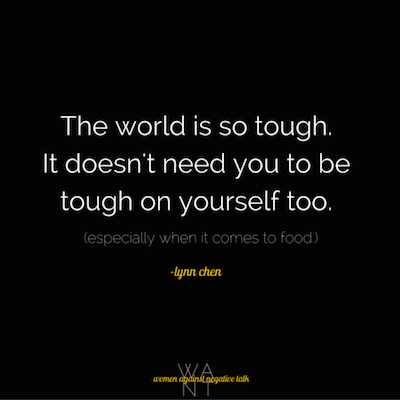 Lynn Chen is an actress, activist, and food blogger who is serving up some major inspiration to me lately. 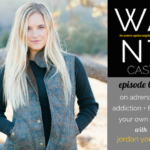 She’s been seen in countless TV shows and films, serves as an ambassador for the National Eating Disorders Association, and has not one but TWO blogs. 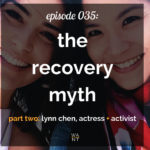 The Actor’s Diet, which Lynn started in 2009 as a sort of journal to help her make peace with her food after years of eating disorders, it’s now one of the most influential food blogs on the web, with some of the most longevity at that. 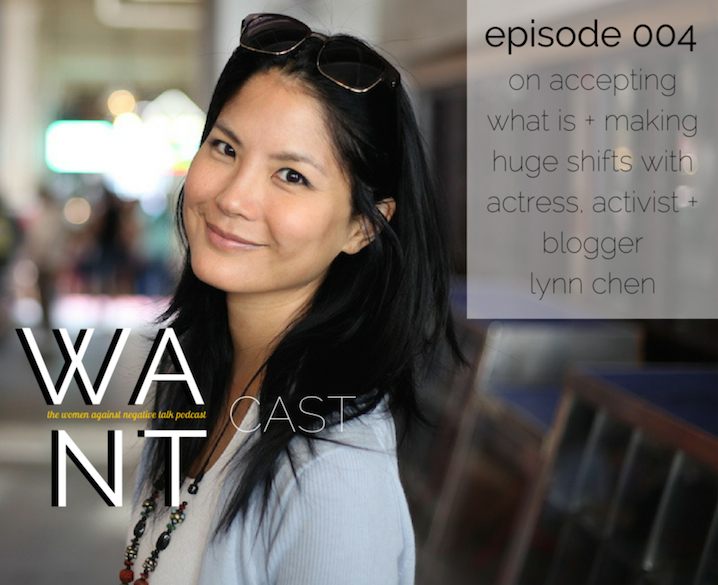 (it’s also got a podcast, the Actor’s Diet Podcast) Her other blog is Thick Dumpling Skin, a phenomenal body-image blog that’s centered around the Asian American community. So I don’t do TOO much heavy editing with these episodes, but I’ve got to say that this one was tough. For all the right reasons. 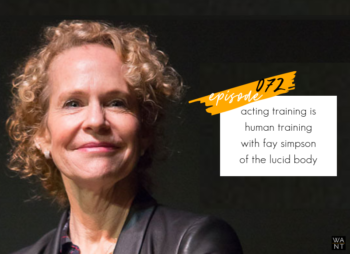 We ended up talking for close to two hours – and Lynn shared so much of herself that I really, really wanted to be mindful I was doing each word and thought and story and lesson justice. Lynn is in a majorly transitional time in her career right now, and that can be really scary – you’ve built your identity being one thing, and then you decide to change course entirely. 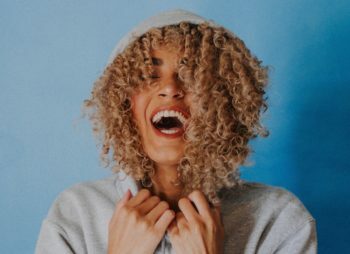 I don’t care what kind of career you’re in or what your life looks like, it’s something we all experience…but we usually hear people talking about it AFTER it’s happened. Lynn’s in the thick of it. 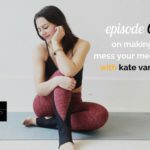 We dive deep in this episode, but the one theme that kept popping up was learning how to accept what is, and then moving forward from there. We talk about the way blogging’s shifted over the last six years, Lynn’s choice to move away from acting and why success isn’t always what it seems, the lessons she learned while she was trying to get pregnant, and the unexpected strategy she’s used to cope with everything from the sudden death of her father a few years back to her long history with eating disorders. 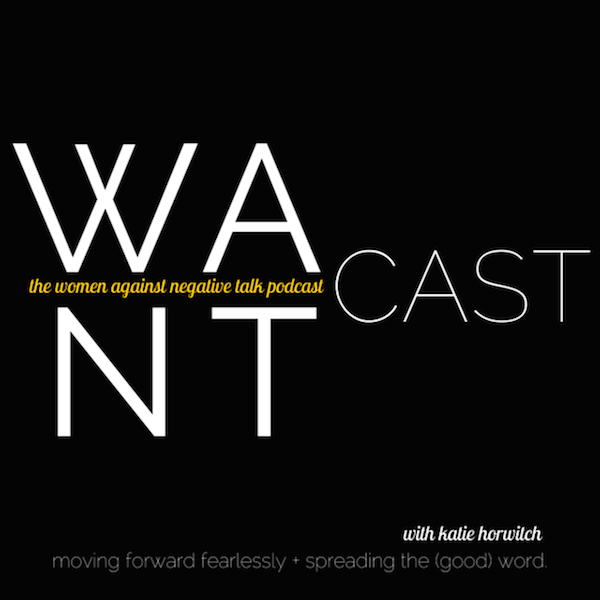 We also talk about rejection, comparison, and how to make your mark by being exactly who you are. If you’re struggling with any sort of transitional time in your life right now or have ever experienced a huge life shift, I really think this is going to speak to you. Like this episode? Shoot me a comment below, leave a review on iTunes (the more reviews, the more Lynn’s message is spread), share it on Facebook, tweet it out on Twitter, or post it on Instagram. 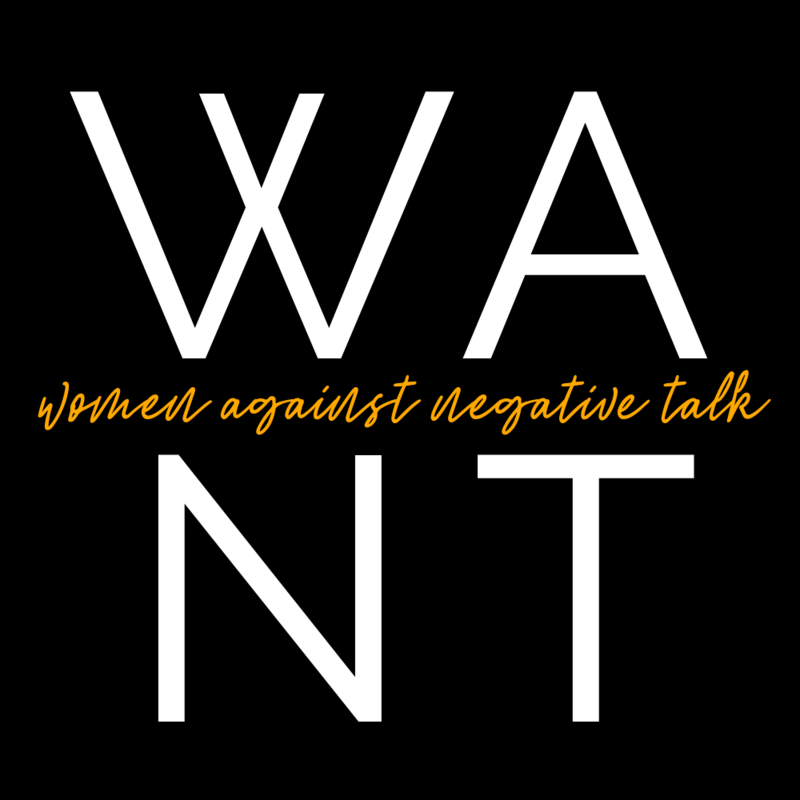 Be sure to use the hashtags #WANTcast, #womenagainstnegativetalk, and/or #WANTyourself! Wow, so much deep & meaningful convo here! Really enjoyed it and hearing you two connect again. THanks for this and also THANK YOU for putting on such an amazing event today- everything couldn’t have been more perfect or pertinent. I love that you got powerful women with different careers and stories. And such important stories they told! I learned so much from each of them, and you! All the best in your move! I hope that you love it in NYC!